Marketing teams go to great lengths to work out an aggressive, creative and one-of-a-kind strategy time and again, in hopes of attracting new customers, increasing sales and building a unique and amazing brand image. An important cog in the wheel in this setup could be providing guarantee on your products/services to your customers. While a ton of content can be created and curated as to why your product/service is the best for your customers, and why doing business with you will be the best decision they make, etc., simply offering a guarantee on your product/service adds gravitas to your brand, an icing on the cake, if you may - by instantly adding credibility to your brand. The reason this works, is because it subliminally sends out a message that you and your company know exactly what you're doing, are confident about your value, and don't shy away from proclaiming it to the world - it's a strong message to put out there, along with all the features and benefits that are already being spoken about. While most products in the market do come with a time-specific guarantee - like a cover for repair work for a year, or free servicing for five years, it is an uncommon practice to place a guarantee on a service - something that is underleveraged by companies offering a service. However, offering customers a guarantee that emphasizes on providing them a great experience, makes all the difference. It helps new customers become comfortable in their buying decision - that their business and money is taken seriously. Including a buyer and seller assurance in your terms and conditions helps to not just make a bold statement, but also assure your customers that they're getting their money's worth. 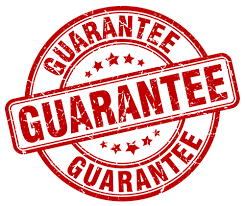 There are many great examples of companies going all out with their guarantees - all of them listed here offer a lifetime guarantee to their customers - it acts as a win-win for both the customer and the seller. 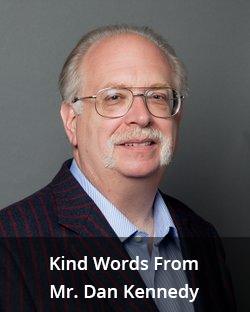 The customer gets immense value out of their purchase which in turn encourages them, automatically, to refer the seller to their family and friends, thereby increasing the seller's sales simply through word-of-mouth - which is easily the most effective ways of expanding your customer base, since your new customers trust their friends’ opinions, and it’s free of cost to you! It is a classic example of risk reversal. Another excellent way to offer guarantee in order to ensure maximum satisfaction, is to offer multiple guarantees on the same product. JanSport is a company that is iconic in making sturdy backpacks that people love going back to, for their incredible quality, durability and their catchy colors. Owning a JanSport was made a "cool" thing very soon after they launched. The reason why customers love going back to their products, is they offer to either repair it, replace the piece or offer a full refund on the customer's purchase, if they aren't satisfied. As a result, the company has a niche customer base, despite having competition from several other brands. While ensuring your brand's messaging is put out there for people to consume, making a guarantee - like a money-back or a lifetime guarantee emphasizes on the quality you as a company would like to offer to your customers, helping them understand the value they would be receiving. It goes a long way in ensuring a loyal customer base and an influx in sales. Just like that one-year guarantee on your phone gives you a sigh of relief when it breaks accidentally, your guarantee on your product/service would help relieve your customers.